Posted on September 17, 2018 by Anna C.
For the past five years, Americans have been breaking records left and right — a good thing when we’re talking about athletic feats or scientific breakthroughs, but not so great when we’re shattering records for catching sexually transmitted diseases (STDs). Chlamydia, gonorrhea, and syphilis are all on the upswing, with a combined 2.3 million cases in 2017 — and those are just the cases that were reported. Since most people with these infections don’t know they have them, the real number is thought to be much higher. The United States has the dubious honor of boasting the highest STD rates of all industrialized countries — though rates are also climbing in England and Western Europe. The good news is that these three STDs are preventable and curable. Sexually active people can dramatically reduce their risk by using condoms and dental dams, or by being in mutually monogamous relationships in which partners test negative for these infections. And, because many STDs don’t show symptoms, it’s important for them to receive regular STD screening to ensure infections are caught and cured before they can do any damage. Posted on August 27, 2018 by Anna C.
I love writing about health and medicine, but I hate going to the doctor. I don’t like taking my clothes off for a dermatological exam, I don’t like rolling my sleeve up for a shot, and I don’t like opening my mouth for a dentist. I don’t even like having my blood pressure taken — it gives me the heebie-jeebies, and probably a case of white-coat hypertension too. For now, pelvic exams are a mainstay — and an important part of cancer prevention. So when it comes to something even more invasive, like the Pap test to screen for cervical cancer, I’m one of those people pining for a magic wand — a tool that a health care provider can wave over your fully clothed body to detect disease. The Pap test may have transformed a scourge like cervical cancer into one of the most easily detected and treated cancers — and for that I love it — but I still fervently wish for its demise. As long as it’s replaced by something better, of course. Posted on May 21, 2018 by Anna C.
The article told the story of a British man whose symptoms started in early 2018, about a month after he had picked up the bug during a visit to Southeast Asia. Once back home, his doctors were unable to cure it with the standard combination of azithromycin and ceftriaxone — “the first time the infection cannot be cured with first choice antibiotics,” the author wrote. 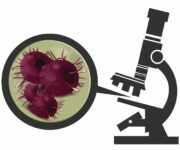 In most of the world, we don’t have a good picture of antibiotic resistance in gonorrhea.